I have to say I am super excited about this new glow in the dark duck tape! 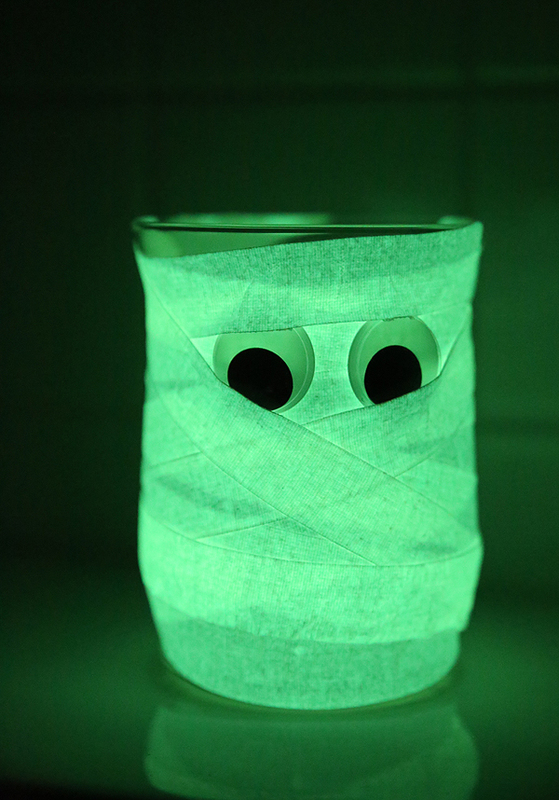 It makes the coolest glow in the dark mummy craft! The possibilities are endless! 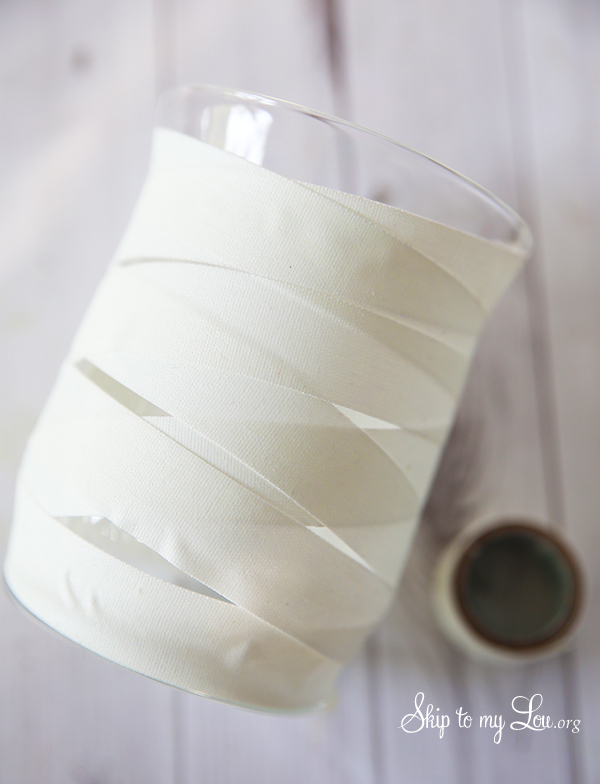 Wrap this tape about drinking glasses, vases, dessert cups, juice boxes, canning jars or baby food jars for an amazing display! This glowing mummy is so easy! 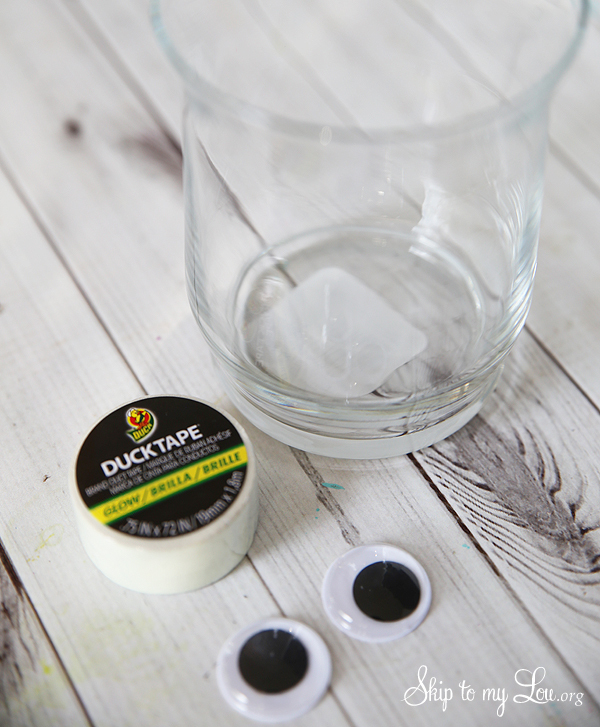 Grab a glass, glow in the dark duck tape (found at a craft store) and some googly eyes and that is it! It only takes a few minuts so it would be easy to make a bunch. 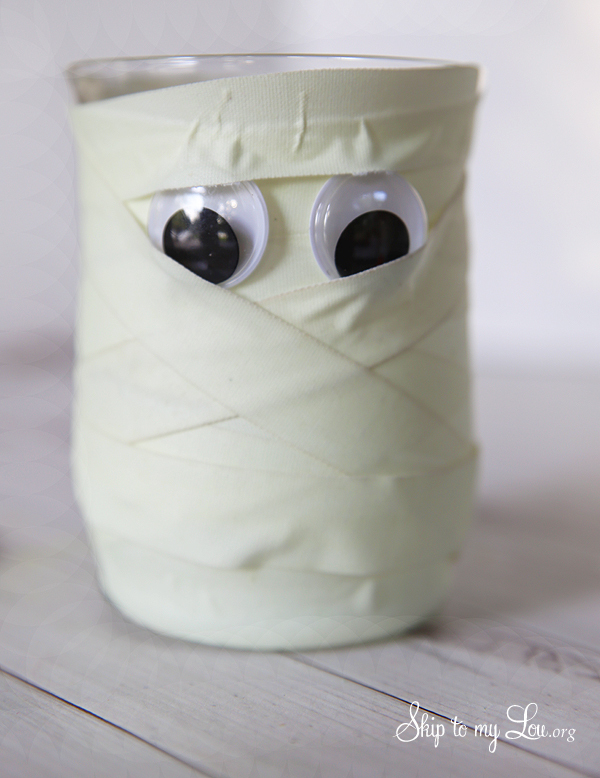 I think these mummies would be a hit for a classroom party! Just wrap the tape around the glass. As you are finishing up add some eyes catching them just under the edge of the tape to hold them on. It is amazing how well this tape glows! This is adorable! Thanks for sharing.